Scheduling a service appointment is quick and simple at King Mitsubishi. Please fill out this form to the best of your ability to request an appointment. Once this information is submitted, our staff will get in touch with you in order to confirm your appointment and service needs. 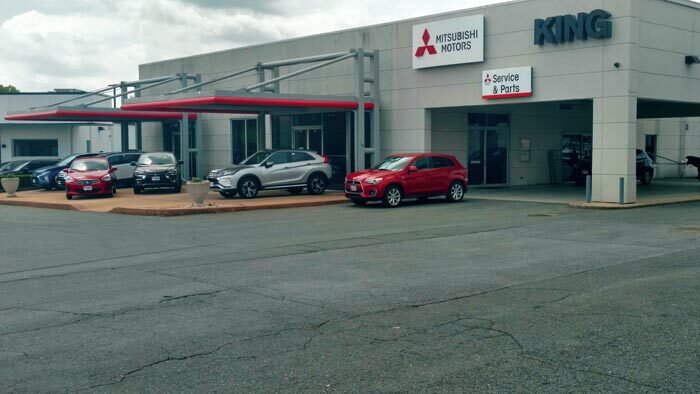 At King Mitsubishi, your local Gaithersburg auto dealership, we strive to make sure all of your car needs are met. We will lead you through each step of the service scheduling process and allow you to take it at your own pace. We can change your oil, rotate and balance your tires, help you purchase new tires or assist with more complicated engine and transmission repairs. Contact our Service Department today!